When we imagine a dream vacation, the images of the tender sun, golden sand and clear water often appear in the head. Concerning this matter, many of us are similar, and therefore it’s easy to understand how the most beautiful and famous beaches become the aim of hundreds and thousands of tourists, and as a result they lose their heavenly charm and turn into a noisy rookery. Indeed, overcrowded and dirty beaches can destroy any vacation. 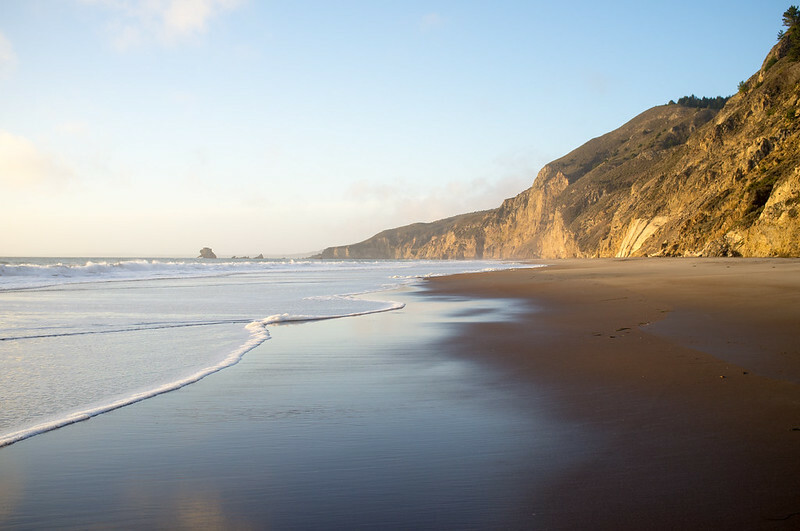 In order to prevent this fact from occurrence, we’ve prepared the list of 6 noiseless and clean beaches of the US, which are carefully hidden from most travelers! 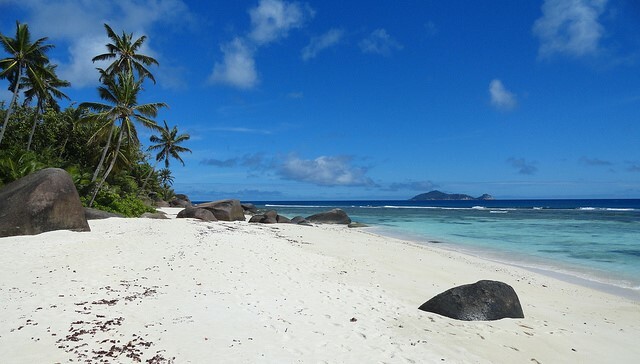 It‘s difficult to find such a private place for swimming and sunbathing as Carova Beach. This place is hidden among barrier islands, so it’s possible to reach it only on a boat or by using SUV 14cars USA, since it will be difficult to drive there by a standard car. After getting to Carova Beach you’ll be able to stroll along the charming 20-kilometer ocean shore, enjoying breathtaking sceneries and looking for seashells. If you are lucky enough, you will see wild horses strolling right on the ocean shore. Where to stay: You won’t find any hotels there, so country house is the only available accommodation option. Helpful tip: If the weather is bad, you can have a trip to Corolla or Duck – these beach cities are full of cafes, shops, and amazingly picturesque views. People, who prefer an active life, will definitely choose Wildcat Beach for their holiday – this place is famous for its long pedestrian and bicycle paths. You can keep fit by running or cycling very close to the beach. Golden sandy dunes and mighty waterfalls create an excellent panorama. Relaxation on Wildcat Beach, surrounded by steep cliffs, turns into a real heavenly delight. Where to stay: Camping is the only solution to stay near Wildcat Beach. Useful advice: Use a bicycle to reach Wildcat Beach. On your way you’ll see such amazing nature sights as waterfalls, green meadows and beautiful tropical forests. Beautiful pristine landscape and wildish ocean scenery make Roque Bluffs a perfect spot for those who like to relax enjoying quietness. On the territory of about 1 square kilometer you’ll see a cozy beach which is lost among charming coastal landscapes. Be sure to wander along Simpson Pond, where a lot of unique animals appear, or just enjoy sunbathing on a sandy beach. This summer destination will be interesting to the fans of nature – Roque Bluffs is home to rare species of inhabitants. Where to stay: As you won’t find any hotels there, rental cottage will be the only available lodging. Helpful tip: Enjoy canoeing or kayaking along Englishman’s Bay. Admire the surrounding scenery, and try to go fishing. This pleasant beach destination is among the most distant and rarely visited national parks in the US. Thus, it’s not easy to reach it: at first, you should get to Key West and then travel another 70 miles by boat. 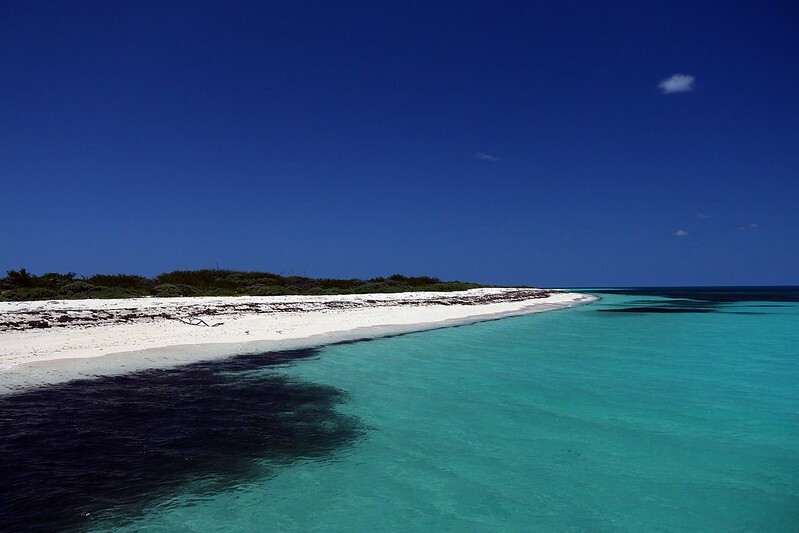 Beautiful beaches and excellent snorkeling are the major features of Dry Tortugas area. Where to stay: Campsite is the only lodging available there. Useful advice: Try Tortugas is a home for almost 250 species of birds, which makes it excellent for bird lovers. For maximum privacy, go to Enderts Beach. 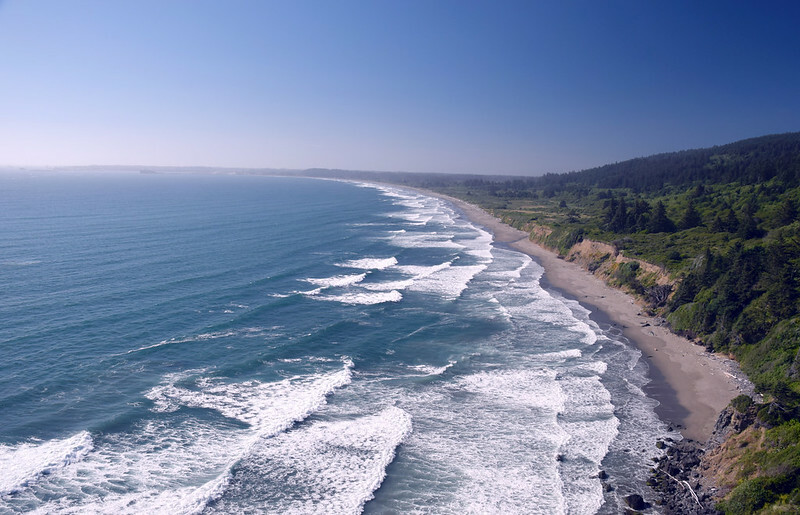 Located in Redwood Park, this beach stretches along the shoreline for 37 miles. High evergreen trees that surround Enderts Beach create a cozy atmosphere and make it incredibly picturesque. As for marine creatures, sea stars and sea urchins are the most common inhabitants there. Therefore, Enderts Beach is also an excellent place for diving. Where to sleep: Speaking of accommodation, the selection of lodgings includes several motels where quite cheap rooms are provided. Helpful tip: Set off to Enderts beach in early summer to enjoy whale watching. 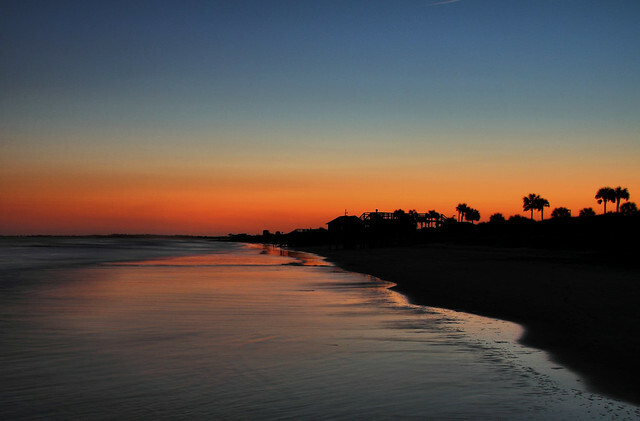 Folly Beach looks amazing! It’s so beautiful that you might think it’s a piece of paradise. It’s neat, clean and equipped with everything you need for a good beach holiday. However, there are no crowds of travelers! And not only human hands take care of the beauty of Folly Beach, but nature itself has tried to create a real wonder: you can see a comfortable entrance to the Atlantic Ocean, snow-white sand, and also moderate waves in any weather, which are also good news for windsurfers. Sometimes, Folly Beach hosts surfing competitions, and fishing master classes. Where to stay: Several motels and spacious villas can be found near the beach. Useful advice: If you travel by car, pay attention to parking signs. You can be fined in case of violation of the parking rules.